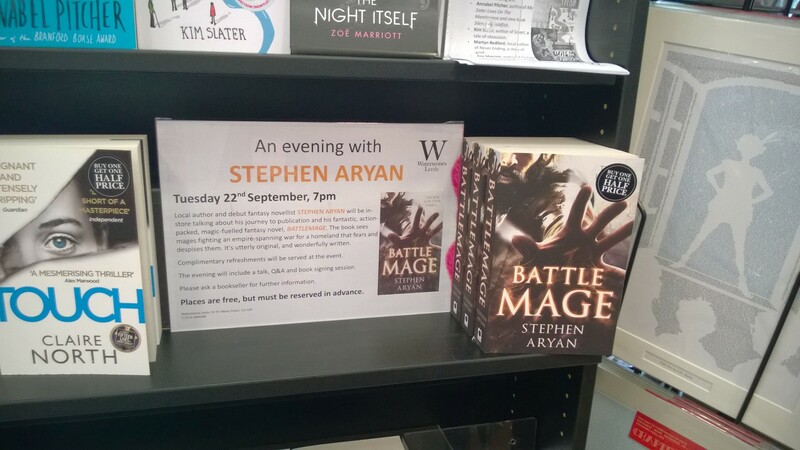 Battlemage comes out in a couple of days, but already a number of stores have copies available and on sale. I’ve been to my local Waterstones in Leeds and I saw it on the shelf which was weird and cool and exciting and scary. A friend in York has mentioned it’s on sale there too and the image below was taken at Bradford Waterstones. 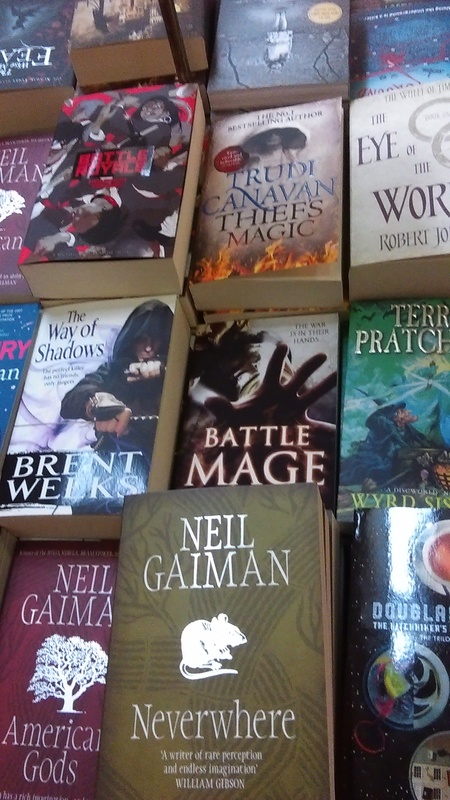 Battlemage is keeping some very good company there wedged between Brent Weeks, Sir Terry Pratchett, and with Trudi Canavan, Robert Jordan on top and Neil Gaiman on the bottom. It’s all starting to feel a little more real now! If you see a copy of it anywhere in your local bookshop in the UK, or in Germany as I believe it is due out there very soon, then let me know.